You don’t need a special licence to drive these houseboats, they are very easy to handle. 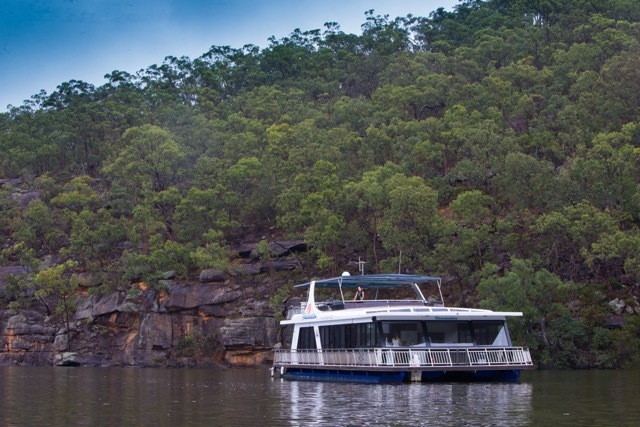 We make sure that you are comfortable with the safe handling of each houseboat before piloting you away on your fun hawkesbury adventure! Luxury FIVE STAR SPA and ULTIMATE SPA houseboats available now. safety fences on upper and lower decks. Looking for a Cruiser Hire?? Tranquility & Fascination feature large bedrooms with TV/DVDs and private entrance to walk around deck. 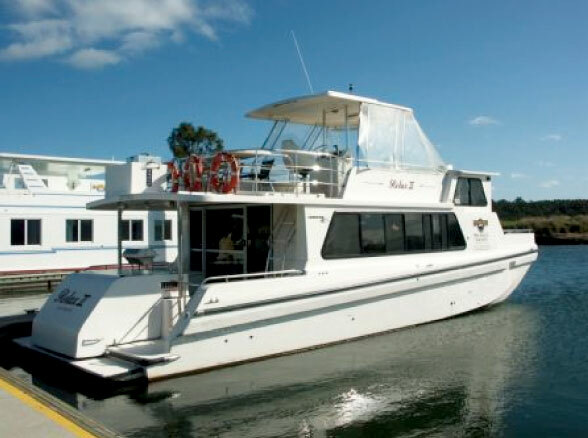 6 toilets onboard, full kitchen/laundry, large living area, air conditioning/heating, theatre system with CD/DVD/USB connection, full walk around deck with child proof fencing, rooftoop SPA, BBQ dishwasher, bar fridge and kitchenette. Serenity & Harmony feature private bedrooms, full kitchen, large living area, home theatre system with CD/DVD/USB connection, rooftop spa, BBQ and kitchenette, walk around deck with child proof fencing, dishwasher, laundry facitilities and so much more. Accommodation includes 3 double rooms that can be changed from one double to two single beds, a 4th room accommodation is 4 single bunks + double fold out lounge in living area. Relax II is perfect for those looking for a newer boat, something suitable for longer hires or a boat that can cater for larger numbers. 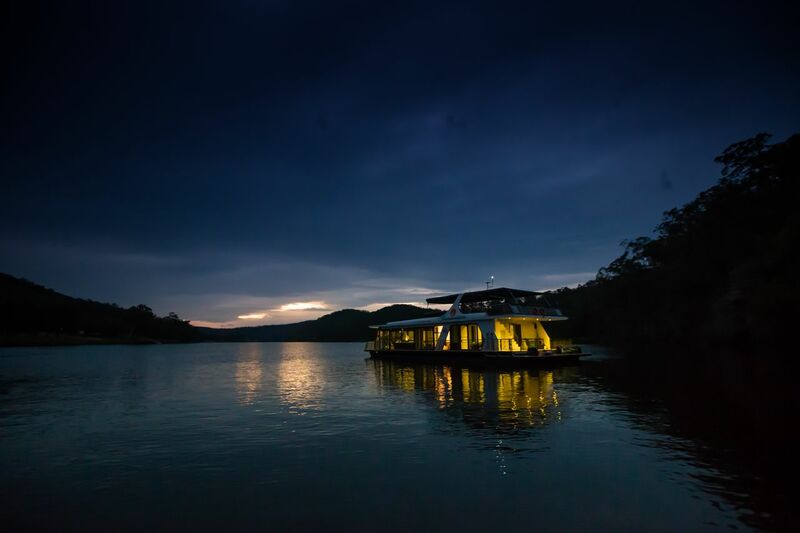 The 46' Cruiser is licensed to carry 10 by day and 8 comfortably by night. 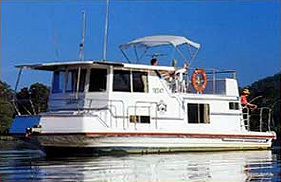 This boat is perfect for several couples or a large family. It features 3 private double cabins plus a double bed in the pilot house. There are also 2 toilets and 2 showers onboard. 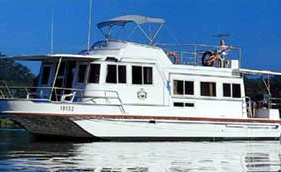 Accommodates 10 people, twin motors, large front deck entertainment area, large kitchen, fridge/ice boxes and BBQ. 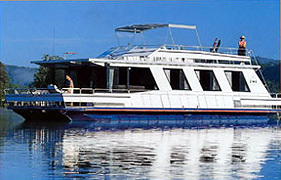 Accommodates 6 people, 2 double and 2 single berths. Powered by twin engines, lots of upper and front deck space. 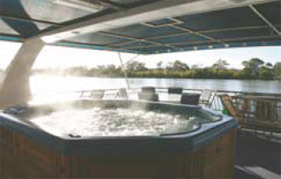 Accommodation includes 3 double beds that convert from lounges, shaded area, BBQ and ice box on upper deck. Accommodation includes 2 double beds that convert from day lounges, shade area over the front deck, BBQ, instant hot water, radio and CD player. Hire rates for a 4 seater start from $85, 6 seater from $95. All day boats are stable, half cabins offer protection from the sun. 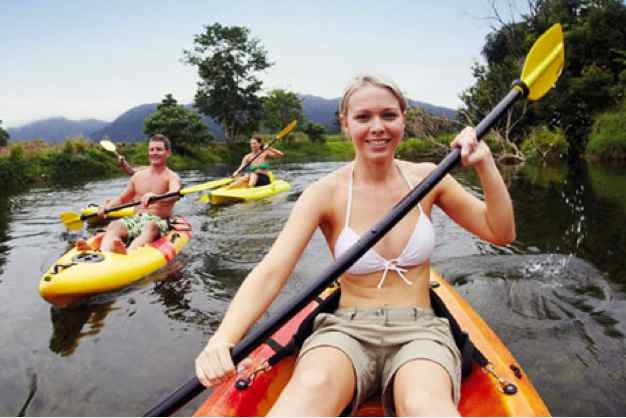 Hire rates start from $30 for single kayak and $50 for double kayak. Hire includes life jacket, kayak, paddle, map and basic instruction.